25 players go in, one winner comes out. Last Man Standing, otherwise known as Battle Royale, is a true test of your skill and resourcefulness. Those who prove themselves are greatly rewarded, and those who do not go home empty handed. We will be polling Last Man Standing in the near future, be sure to give this blog a read and send your feedback our way. Added a reward of a cosmetic cape which changes appearance based on your LMS rank as a way to show off your skill. Added unlockable cosmetic rewards for within Last Man Standing. Games of Last Man Standing will be roughly 20 - 25 minutes in length, but can vary depending how quickly or slowly players die. The fog will cut the playable map to a very small area by the 20 minute mark, so the games shouldn't ever last much longer than that. When searching the map for loot you will be able to get your hands on equipment for all combat styles, spanning from mid-level to high-level gear. We want to create variety in Last Man Standing - ensuring that all combat styles are catered to is key in achieving this. Last Man Standing will include one map. This may expand in the future, but for the initial release we would like to make sure the map we have is balanced correctly, well thought out and provides an enjoyable experience for those taking part. Chances of encountering other players. When playing on the map shown above you will have to constantly be on your toes, thinking about your next move and how to stay one step ahead of your competitors. There will be ways for you to skillfully gain an advantage, as well as ways for you to make mistakes and fall behind. The concept is still unfinished and we will be expanding on it much further before the release of Last Man Standing. Casual - available to free players. Offers no rewards and does not impact LMS rating. Competitive - available to members. 100k entry fee. Offers rewards and affects your LMS rating. The 100k entry fee in the competitive mode ensures that participants will keep their eyes on the prize and allows us to provide a real incentive for them to win the game. Last Man Standing will be solo only. We will look into expanding this to include a team version of the minigame in the future if it is something the community is interested in. LMS rating is a simple way for you to show off your Last Man Standing skill. After each competitive game of Last Man Standing your LMS rating will change depending on the place you finish. On top of being a great way to prove your skill to your friends, having a high LMS rating will make you eligible for participation in future Last Man Standing tournaments. The advantage of having an entry fee for the competitive mode of Last Man Standing is that it allows us to offer big rewards for the winner and runner up. The winner of a game of competitive Last Man Standing will receive 1.5 million coins and the runner up will receive 500,000 coins. Inflation isn't a worry as those coins come straight from the pocket of the players you just defeated. In fact, Last Man Standing will act as a gold sink, removing a sizable chunk of gold from Old School for every game that is played. In addition to this, the players who come in 3rd, 4th and 5th place will receive a ticket allowing them free entry into another game of Last Man Standing. By playing Last Man Standing you will be able to unlock a cosmetic cape which changes appearance to reflect your LMS rating. 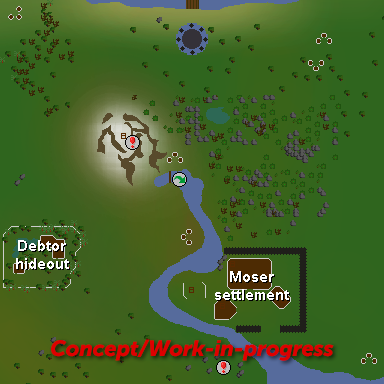 This will act as a way for you to show off your Last Man Standing skill when out and about in Gielinor. In addition to this, you will be able to unlock cosmetic upgrades within the minigame by playing. These unlocks won't impact on gameplay in any way, but they will allow you to intimidate your opponents by letting them know just how experienced you are. All of the cosmetics found within the minigame will use existing in-game graphics, such as trimmed armour from treasure trails, rather than any new designs. We're eager to hear what you think of our Last Man Standing concept. If you have any further questions or any feedback, please let us know! We'll be polling Last Man Standing in the near future, so now is the time to tell us what you think should be different. This sounds amazing! Can't wait to see how it turns out. IT BETTER PASS! Sounds very good. There should definitely be many more rewards than just coins though. I don't think coins are going to be enough to keep the game hype for a long period of time or I would imagine it would get unpopular very quickly. EDIT: Remove the free tickets. I also think the concentration should be on reviving dead mini-games... Not make completely new ones.